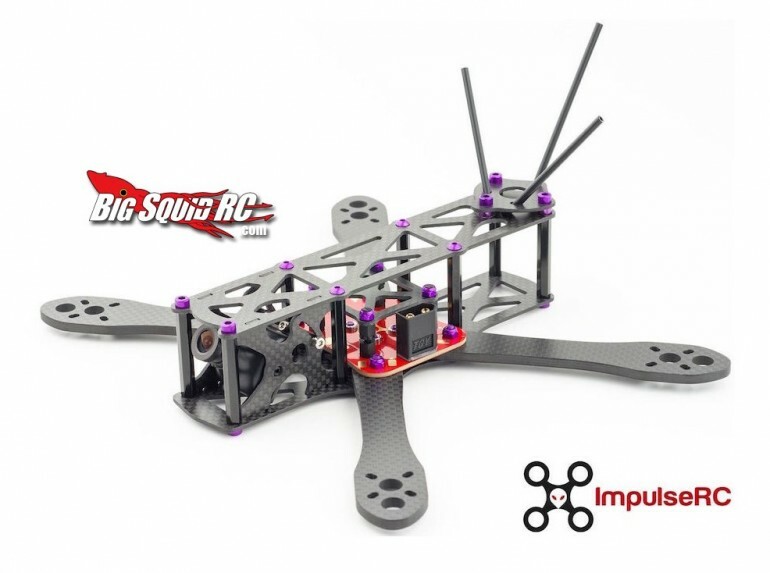 ImpulseRC Alien – FPV Miniquad Frame « Big Squid RC – RC Car and Truck News, Reviews, Videos, and More! Aliens are coming! With what seems like a million frames to choose from when building an FPV racing mini-quad, it feels almost impossible to decide which one is the right choice for you. I would definitely consider the 2015-Drone-National-winning Alien from ImpulseRC as one for your short list. Available in three sizes (4″, 5″ and 6″), this frame can accommodate a huge variety of power plants and FPV load-outs. The Alien boasts some innovative features, including unique X Frame geometry that centralizes the mass for optimum balance and unmatched handling, an integrated and fully adjustable camera mount as well as T6-7075 anodized aluminum hardware. Need more quadcopter news? Hit This Link to read more on Big Squid RC.